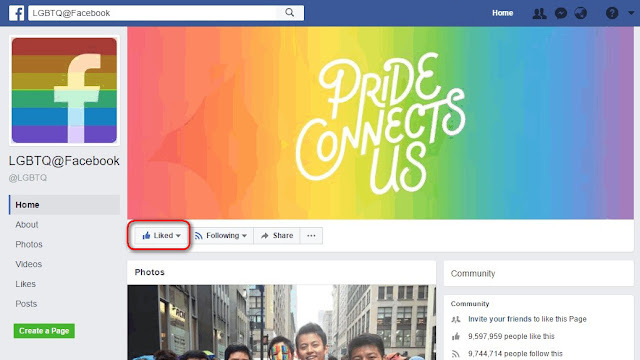 Facebook has added a new rainbow flag reaction to its social network for a limited time so users can celebrate Pride month. The flag, which has been a symbol of the LGBT community since 1978, joins the thumbs up and heart signs as well as excited, shocked, sad and angry emoji as a way to react on Facebook. But Facebook's addition isn't immediately available to all users, which has sparked controversy among people on social media. 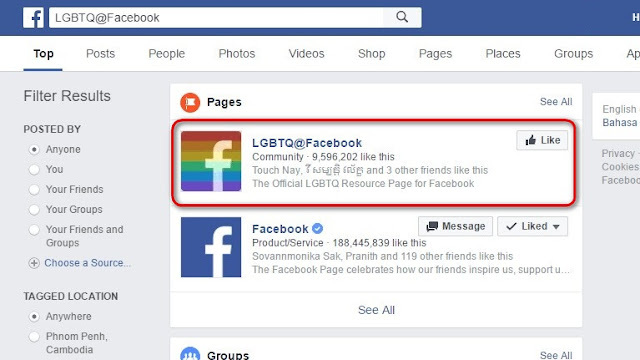 2- Type in Search : LGBTQ@Facebook or Click this LINK. 3- Press Like the LGBTQ@Facebook.